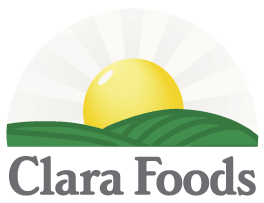 Clara Foods blends the ancient art of fermentation with todays technology to make the future of protein. They begin by mixing two ingredients found in nearly every good kitchen. Sugar and yeast. Next, they use advanced yeast engineering and fermentation technologies to selectively cultivate the perfect strain of yeast. Lastly, Clara ends with protein, tailor-made for its purpose. Whether egg albumen for baking, environmentally friendly antimicrobials or pure, clean protein Clara Foods products meet many protein needs .